Dr. Klingsporn aka Dr. K was born in Austin and grew up in the Houston suburb of Spring. He developed an interest in all things science from an early age. After graduating from UT Austin with a Bachelor’s of Science in Neurobiology he worked at Seton Hospital in central Austin, starting out as a Nurse’s Aide and working as an EKG tech. Working at Seton taught Dr. K an invaluable lesson on how to care and listen to his patients. Knowing he wanted to continue his education he moved to San Antonio to attend the UT Health Science Center’s Dental Lab Program which earned him a second BS in Dental Laboratory Science. After working in a dental Lab for one year he was admitted to the prestigious Dental Program at the UT Health Science Center in San Antonio where he earned his Doctorate of Dental Surgery degree. 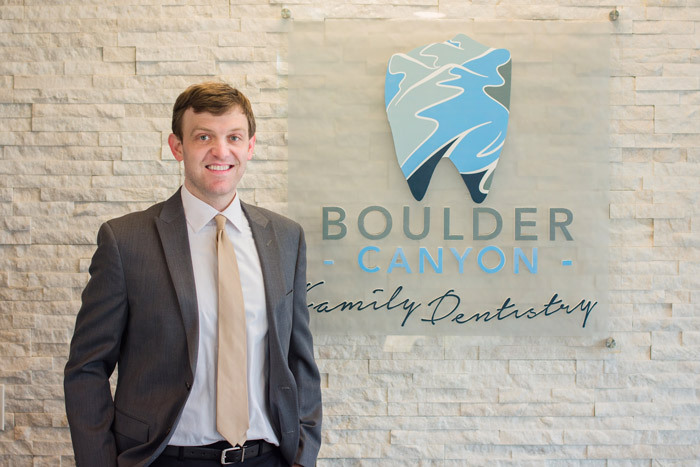 He is passionate about dentistry and loves that it is a unique blend of science, art and business. He believes there is no other career like it. Dr. K continues to learn and expand his skills in all aspects of dentistry, including restorative dentistry, implants, and orthodontics. He is a member of the American Dental Association, The Texas Dental Association and the Capital Area Dental Society. He does habla espanol enough to be able to communicate with patients about dental concerns. In his spare time, Dr. K likes to relax with his wife Christine by watching movies and various TV series. He enjoys all kinds of sports especially Longhorn Football and he is eagerly awaiting their next National Championship! His dog Luke, a Siberian Husky is named after Luke Skywalker – Star Wars being one of his all-time favorite film series.